Alcatel-Lucent has completed a field trial on the Africa Coast to Europe (ACE) submarine cable system that achieved a capacity of 12.6 Tb/s per fibre pair. Connecting France to the West Coast of Africa, the ACE cable system connects 16 countries, including 13 African nations, seven of which were connected to the global Internet backbone for the first time when the first phase of the system became operational in 2012. 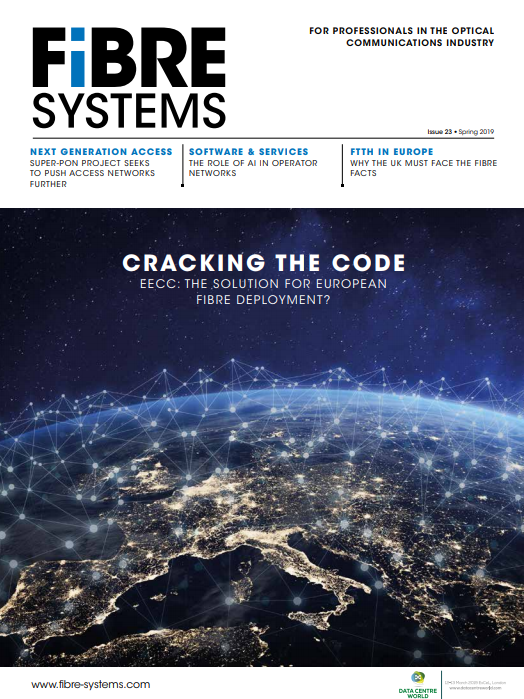 The field trial, which used Alcatel-Lucent’s 1620 Light Manager submarine line terminal equipment, showed that it was possible to achieve more than a fivefold increase in capacity compared to the system’s initial design capability of 5.12Tb/s. The upgrade capacity was optimized by selecting different wavelength bit rates for regional (400G) and transoceanic (300G) distances, the systems vendor says. Alcatel-Lucent has previously trialled and deployed 400G in a number of locations, including Africa, but this was one of the first demonstrations of high-speed transmission over a submarine cable system. Just last month, Alcatel-Lucent and Ooredoo Algeria deployed the first 400G optical transport network in Africa, which was designed to connect the main Algerian cities of Algiers, Constantine and Oran, as well as smaller cities, in order to support high-speed mobile broadband access. Alcatel-Lucent is not alone in demonstrating how submarine plant can be upgraded to reach capacities far beyond its original design. Southern Cross Cable Network carried out a trial of 100G equipment earlier this month, which showed that the cable was capable of supporting 14.4Tb/s, up from its present maximum capacity of 7.8Tb/s. President and CEO of Southern Cross, Anthony Briscoe, said: “The technology improvements are staggering, when you consider that the original potential of Southern Cross was 240Gb/s back in 2000. Our current potential represents the equivalent of over 58 Southern Cross Cable systems being built using the original technology”.